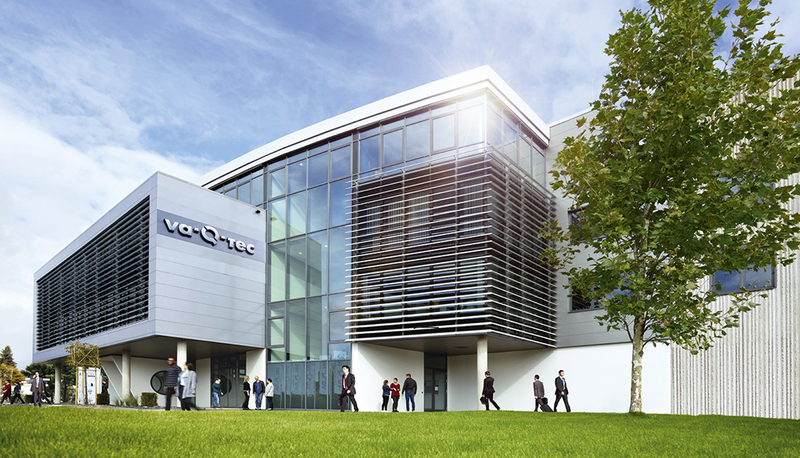 As part of a two-day business trip to Lower Franconia, the Bavarian Minister of Economic Affairs Franz Josef Pschierer visited the va-Q-tec headquarters in Würzburg yesterday. During a site tour founder and CEO Dr. Joachim Kuhn informed about va-Q-tec’s innovative technology and its outstanding energy efficiency. Franz Josef Pschierer was atonsihed by the outstanding performance of va-Q-tec’s extensive product portfolio and the diverse application possibilities.